Can Your Pets Keep You From Selling Your Home? You think of your pets as family, but if you’re selling your home, it may come as a surprise that not everyone feels the same. For some potential buyers, the sight of a litter box or a clump of hair could be a major turnoff. Not to worry, though! With a few tricks and tips, you can learn how to properly stage your home, and prevent your pet from being a deal breaker, while perking up your home’s potential all around. The first thing a buyer will see is the front of your house and the yard, so start your improvements there. Clean up your yard and prune hedges or shrubs. Remove all pet waste and be aware of any leftover odors. If your yard isn’t smelling so fresh, try these tricks to get rid of foul smells. Is your yard still looking a little dull? Spend a weekend planting some low-maintenance flowers that complement your exterior paint colors. Speaking of paint, you’ll want to spend some time freshening that up as well. Have someone pressure wash your house, or do it yourself, and then retouch trim and shutters with fresh paint. Once you’ve freshened up out front, you’ll want to tidy up inside as well. Start by picking up any scattered items that are cluttering up your space. Place dog or cat toys out of sight in drawers or baskets. Have a designated area to store pet bowls and other items when you’re getting ready to show your home. Next, give your home a good cleaning. Fur and pet smells tend to stick to everything. You may not notice them, but someone walking into your home for the first time will. Pay special attention to floors and fabrics, and vacuum carpeted spaces several times. Thinking of renting a steam cleaner? Be careful of any old urine or pet stains in your carpet. Heat can actually set those stains in rather than lifting them out, so try a scrub of baking soda and vinegar or another stain remover, first. Wash curtains and any fabrics that will remain in the home while being showed. Maybe even hire a cleaning company to give the place a thorough cleaning. They will get to areas you may not even think of, like those lick marks on the windows and fur trapped in the baseboards. Now that your house and yard are clean and fresh, you’ll want potential buyers to notice every square foot. If your lighting is off, that could be a problem. The right lighting can make your home look more spacious and can even make the difference between receiving an offer or not. Before showing your home, make sure your curtains are open and any blinds are drawn up. Replace burned-out or dull light bulbs to really brighten things up, and don’t forget to change the bulbs outside as well. Still looking a little dark? Invest in a few lamps to add to corners and closed spaces. If you’re looking to add light outside, try picking up some inexpensive solar lights to accent those new flower beds. With your home looking so warm and inviting, it may help to have it smell good, too. Some realtors even suggest that certain scents sell houses for them. Avoid using heavy scents or air fresheners as these may trigger allergies in some people. Look for candles and diffusers in light scents of vanilla or citrus instead. Besides adding a little extra appeal to your home, scents can also help with any lingering pet odors, especially when showings are a surprise. Pets and their smells can be distracting when you’re selling your home, but they don’t have to be. With some staging strategies and a little cleaning, you can reel in your perfect buyer. Soon, you and your furry family members can spend less time showing your house and more time snuggling. Fixing up the exterior of your home for presentation. Planting flowers or trimming overgrown plants to help with presentation of the landscape. Fixing any mold, dings or dent damage on the walls. Make sure your kitchen is up-to-date. Balance your projects and make the right improvements to your home that will result in a fast sale and an increase value. Make sure that potential buyers are feeling the “wow” factor in room by not ignoring these 7 project areas. P.S. Real estate is really booming this summer! Homes are selling fast & for the highest prices in years. It is a great time to put your home on the market. It is a super time for buyers to buy while interest rates are still low. Don’t miss out on your dream home. Click here to become my Fan on Facebook! When many people buy a home, they plan to live in it for many years. Unfortunately, as the years pass homes, and people, tend to age. Mobility issues, disabilities, and illnesses all have an effect on your everyday living. In fact, you’ll see many ADA compliant housing making it’s way onto the market to tempt seniors and others living with disabilities. Think ahead to ensure your home has the modifications you’ll need as you age. Read on for the top 10 changes you should consider making to your home to make living in it easier. When looking into changing your home, it’s good to start small. Safer flooring is a great place for seniors to starts, as they can make most of the changes on their own. Create a hazard free flooring when you remove throw rugs and other items that could cause trips and falls. Low pile carpets or hard floors that flow from room to room are the best options. Another small change that can make a big difference are door handles. Seniors who suffer from poor grip strength or arthritis often have difficulties with round knobs. Instead, install door handles that can simply be pushed to open. Grab bars are among the most popular accessories to install in showers and bathrooms. They help you maneuver yourself and steady your during transitional poses. If you don’t need grab bars now, having extra backing in your walls ensures they can easily be installed if you need them later. While some houses come with tubs in every room, walk-in showers can be critical for seniors who have a hard time raising their legs. Removing tubs and installing showers instead makes it easier for anyone to get in and out. You can make showering even easier by installing a built-in shower seat when you change out your shower. Proving a place to rest decreases the chance of falls and creates a safer space to wash yourself in. 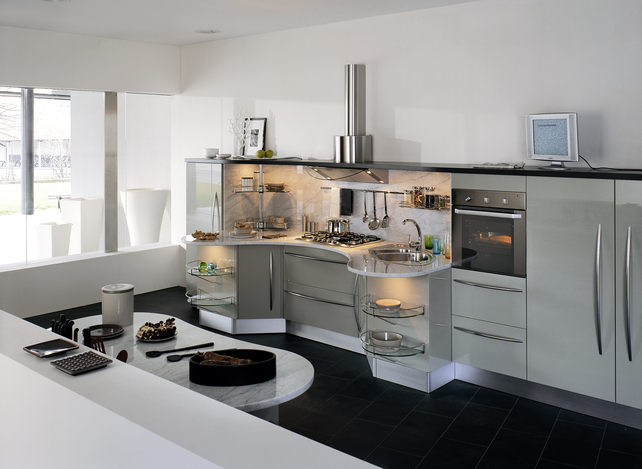 The kitchen is one place many people forget when making changes to their home. 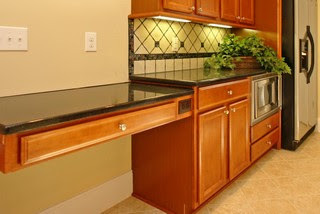 Adding in countertops at different heights, offers you the flexibility to work while sitting or standing. In addition to height appropriate counter tops, having drawers and cabinets within arms reach reduces fatigue while working in the kitchen. No need to bend down low or stretch too high to get what you need. Whether it’s the entrance to your home, hallways between rooms, or door frames, you should make sure that every part of your home allows space for walkers and wheelchairs. Fitting through hallways and doors shouldn’t be a struggle for those who need walking assistance. Whether you’re a senior who’s considering changing their home or you’re hosting an aging parent for long periods of time, using this list to make your home easier to navigate will help. Talk to friends and family about making these changes or reach out to a licensed contractor today. Shirley Moore is a former general contractor and freelance writer newly based in Miami, Florida. She got her license at Contractors License Resource Group, but turned to writing to educate her community about home safety. When she’s not writing, Shirley offers local construction consulting services. No one knows the business better than a real estate agent and selling a home isn’t easy without one. Those who forego selling a home without an agent are exposing him or herself to many possible risks. Agents can help break down the selling process, so you understand it and are prepared for the next steps to come; such as the time needed for properly showing your home and getting it prepared for presentation to potential buyers. As a homeowner, you need an agent to help you comprehend the complex home selling market and to market your home for the best curb appeal. This is where you as a homeowner can be less successful, attempting to sell your home on your own. Other important roles that real estate agents offer are negotiation experience, inspection and repair know-how, transaction management and closing finesse. All risks that you take if you defer the best option for you – getting a real estate agent to assist you in selling your home. Contact us today to guarantee you will avoid these risks.